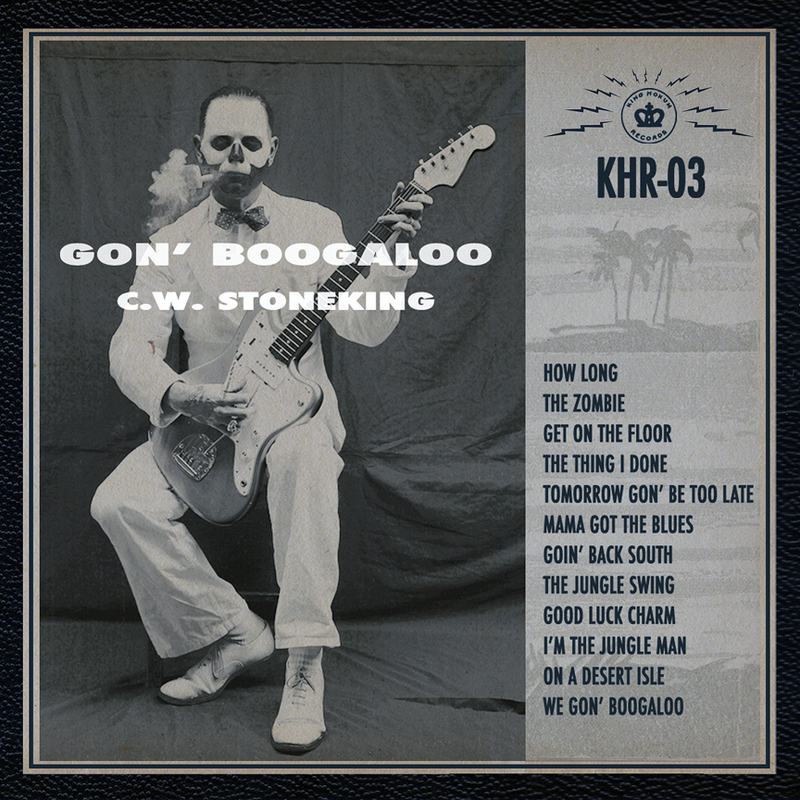 Recorded in Castlemaine, Victoria, Gon’ Boogaloo is the first album from Australian based Stoneking in six years and follows up his hugely successful Jungle Blues – a release that saw him break Europe with a series of sold-out shows and led to appearances at all the major festivals as well as tv and radio spots for the likes of Later With Jools Holland and jazz star Jamie Cullums BBC radio series and major press coverage that saw the broadsheets, tabloids and major music mags all unite in praise for a man Word magazine described as The most authentic twenty-first century voodoo-jazz-blues-delta-dixie experience of them all. But who is CW Stoneking? Rumours of his past are rife – he had been a boxer, that he lived in a stolen car on the outskirts of town, that his body is covered in tattoos and he doesn’t cook. And then theres the one about him being once seen in a very different incarnation – playing lead guitar with a heavy-rock band called The Berko Boys in a Sydney. Some said he looked more like a hillbilly David Lee Roth than a Delta bluesman, with long blond hair, a black skivvy, balaclava and a stuffed fox perched on his shoulder. His bandmates were dressed as a game-show host and rodeo clown. Or so they said. This entry was posted in Miscellaneous and tagged blues, boogaloo, music, stoneking. Bookmark the permalink.